This programme is designed to equip candidates with the skills needed to operate as professional journalists in both the print and broadcast media. Students will also have exposure to the technology currently in use in the print and broadcast media. The programme also requires the student to undergo a six-month period of experiential learning as part of the course. Admission Points Score of 32. 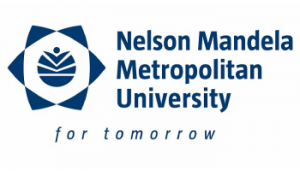 Minimum NSC requirements for diploma entry must be met, but a minimum NSC requirement for degree entry is strongly recommended..
English, Afrikaans or isiXhosa (home language or first additional language) on at least level 4 (50-59%), which must include the language subjects to be taken in the diploma, and one of which must be English. Applicants with an Admission Points Score between 22 and 31 may be referred to write the Access Assessment Battery before a decision is made on whether or not to admit the applicant to the course. All applicants will be required to attend an interview. Applicants may also be provisionally admitted on the basis of work experience, age and maturity. Admission is at the discretion of the Head of Department. Senior Certificate comprising Higher Grade and Standard Grade subjects only, with at least HG=D or SG=B for two languages. Matriculation exemption will be a strong recommendation. Learners must score at least 30 points on the university’s SPS rating scale. All applicants who do not meet the requirements for direct admission, and who have an SPS of 18 or higher, may be referred to write the Access Assessment Battery. Careers: journalist, news reporter, presenter, news and media editor.